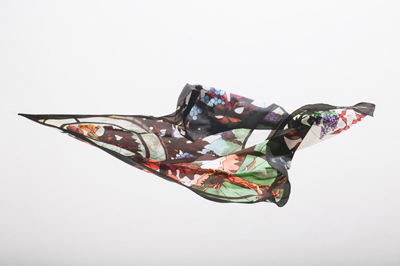 Swiss Silk Company custom-designs gorgeous silk scarves and neckties designed and produced for distinguished clients around the world. Ideal for events, organizational branding, and gifts. The story of Swiss Silk is the story of silk. Bring the irresistible lightness of silk to your next occasion, whether it's a special event, a moment to commemorate or an opportunity to thank your clients. We'll work closely with you to produce an exclusive scarf and necktie design that will infuse your brand right into the lush fabric. 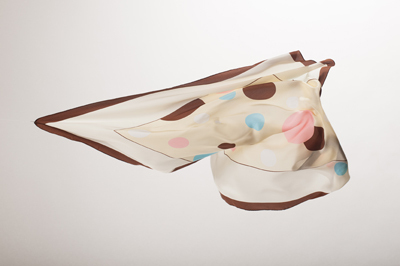 Customize one-of-a-kind silk gifts that are sure to impress the recipients. 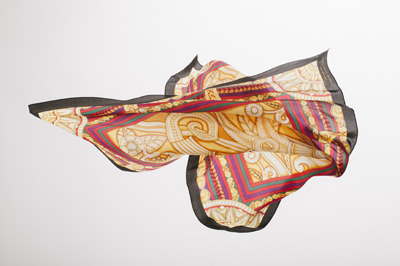 Develop upscale silk accessories to elevate the uniforms of your guest service agents. 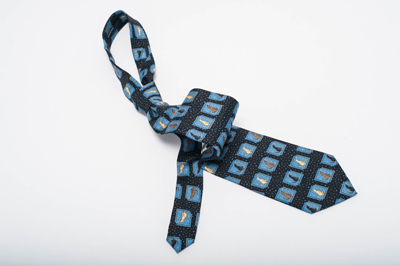 Commission a limited-edition silk necktie and scarf set for sale in your museum's gift shop. 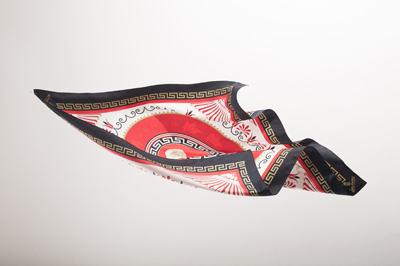 A commemorative scarf and necktie by Swiss Silk Company will add sophistication to any quality occasion. Contact us for a free consultation, and feel free to inquire about specially-ordered silk mementos such as shawls, pocket squares and ascots. 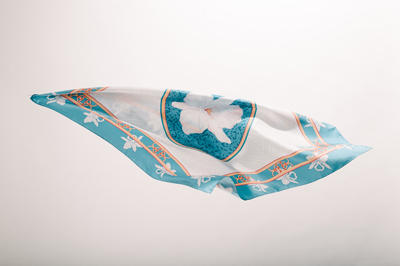 Sample a rich selection of gorgeous custom silk scarves that we've designed and produced for distinguished clients around the world. Browse our handsome portfolio of sophisticated custom neckties, designed and produced exclusively for a wide assortment of global clients.